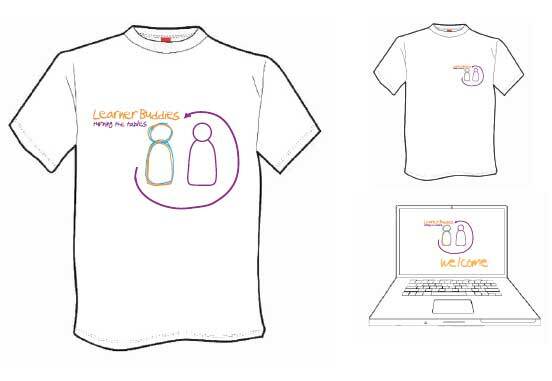 2nd Year HND student Emma Hart has produced the branding for the 'Learner Buddy Project' - a new initiative at Edinburgh’s Telford College which will allow lecturers and students to exchange and share knowledge of evolving media technologies. 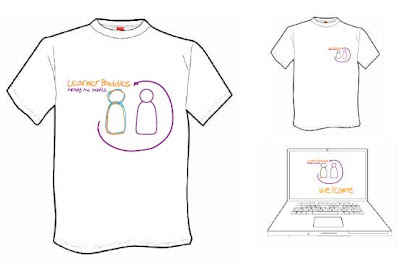 The idea is to select a team of four students based in learning street alcoves, equipped with data projectors and whiteboard technologies. These 'Learner Buddies' will lead sessions with lecturers to help facilitate and promote the use of new and interactive technologies in curriculum delivery. 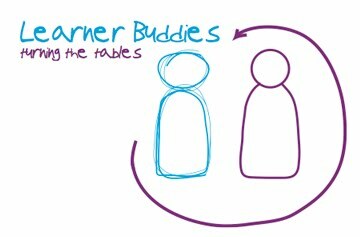 Emma's concept used the strapline 'turning the tables' and the result is a nice hand-drawn logo that captures the informal exchange between student and peer.